In life, two options exist: death or growth. Given their global success, this goal proved nothing short of a tall order. 2015’s Silence in the Snow ignited something of a renaissance for the boys. Moving 17,000 copies upon debut, it bowed Top 20 on the Billboard Top 200 and claimed the #3 spot on the Top Rock Albums chart. “Until the World Goes Cold” arrived as their biggest single to date, achieving the band’s first Top 10 at Active Rock and generating a staggering 17.1 million Spotify streams and 14.9 million YouTube/VEVO views and counting. The Guardian, Classic Rock, Ultimate Guitar, and more praised Silence in the Snow as they sold out shows worldwide. Despite the explosive nature of the previous campaign, the musicians quietly commenced work on what would transform into The Sin and the Sentence, collating ideas and assembling songs on the road. Without telling anyone outside of the inner circle, they retreated to the Southern California studio of producer Josh Wilbur [Lamb of God, Gojira] for just a month in 2017. An important first, Gregoletto took the reins writing lyrics. The results freed up Heafy to soar on the mic. 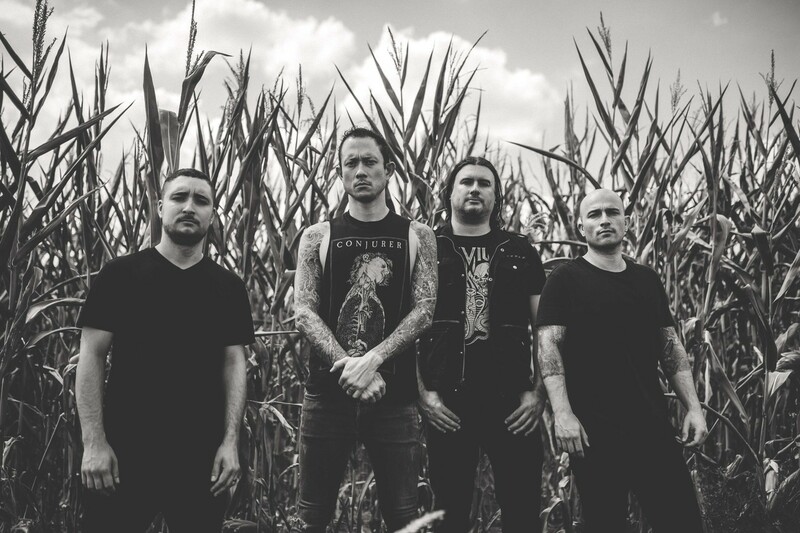 Without so much as a social media plug or formal recording announcement, Trivium broke the silence about their latest body of work and uncovered the music video for the first single and title track in the summer of 2017. It arrived to a groundswell of fan enthusiasm, racking up 1.9 million YouTube views and nearly 1 million Spotify streams in just four weeks’ time. The near six-minute lead-off charges forward at full speed on a double bass drum gallop, thrash intricacies, and hummable guitar lead as Heafy delivers one of his most powerful and ponderous vocal performances ever. On the other end, “Betrayer” unleashes a barrage of intensity driven by black metal percussion, tremolo picking, and earth-shaking screams before yet another hypnotic hook. Everything leads up to the crushingly epic closer “Thrown Into The Fire.” A conflagration of incendiary riffing, guttural growls, and entrancing harmonies, it’s a fiery final word. Following the 2003 independent breakout of Ember to Inferno, Trivium arrived as metal’s hungriest contender on 2005’s Ascendancy. Heralded as “Album of the Year” by Kerrang!, it stands out as a 21st century genre landmark. As they went on to cumulatively sell over 2 million units, they scorched stages with idols such as Metallica, Black Sabbath, Iron Maiden, and more in addition to regularly making pivotal appearances at Download Festival, Bloodstock, KNOTFEST, and beyond. In Waves and Vengeance Falls both soared to the Top 15 of the Billboard Top 200 as the band staunchly secured its place in the modern metal pantheon.